1. This structure for the front roll in wheels can be folded which can be easily shorten the length of the stretcher. 2. 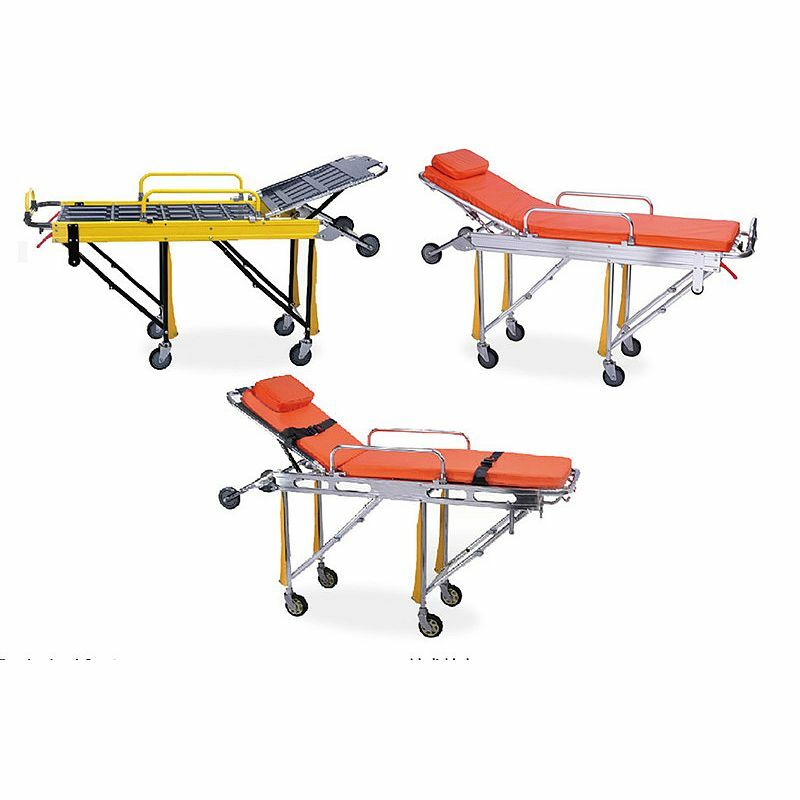 This stretcher bed cot with large capacity and self-locking function. 3. 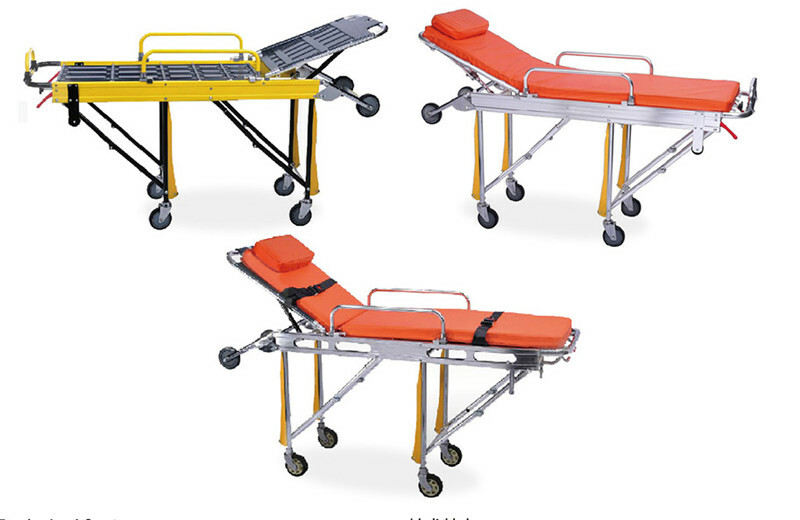 Convenient operating makes the stretcher bed load and unload the ambulance car easily. 4. The ideal rescue facility for hospitals and emergency centers.